As a result of the creation and the completion of the OTTV (OpenText Television) Studio in Waterloo, Ontario, OpenText desired a ROI (Return On Investment), which resulted in the creation of original programming. 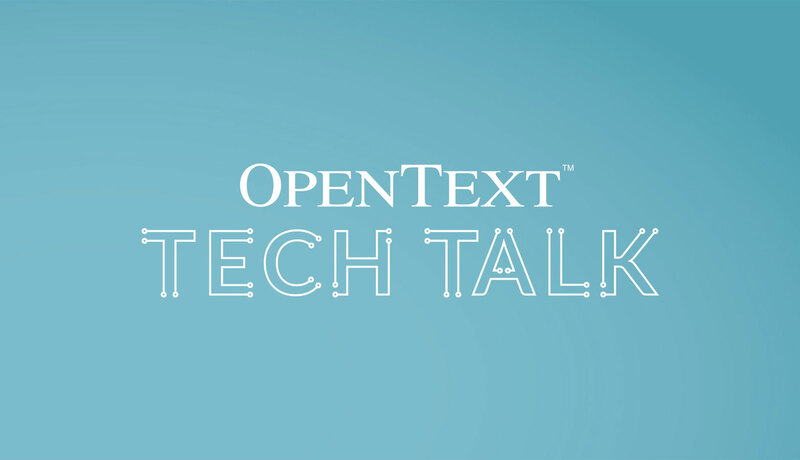 A brand was needed for a new series of videos that would connect the viewer to OpenText experts while they learn about trends, technology, and innovation. This brand would be called OpenText Tech Talk. Working with the OTTV team and others for creative input a technology focus look and feel was created. This feel was inspired from circuits from an electronic diagram. This style also allowed the motion graphic designer to be very creative in the creation of the intro graphics and the background static image on the television screens behind the speakers. Lower third, sidebars, and full screen graphics were also created to match previous videos and relate to the new identity.